Some think sup is new, well it was new to me in 2012. But surfers have used paddles to paddle between off shore breaks for some time. Its not as if they can put their paddle in some sort of umbrella stand by the waves while they surf. So they started to surf with the paddle. Ocean Islanders use to stand up to keep an eye on their far distant island destination while paddling between island homes and offshore fishing grounds. 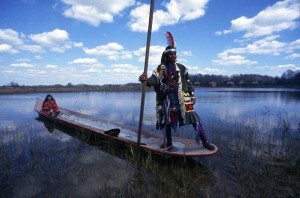 You can also find similar standing up skills in American Indians who stood up in canoes to hunt fish and to see dangers in river rapids. Indonesian and Asian countries where water craft are propelled by pushing poles in to the floor of the stream, river, lake or ocean to move the craft along. Even Canadian loggers have stood up on floating crafts, ok they are logs, tree trunks logged from the hill sides around the massive rivers of the region, but all the same. The skills they use are just the same as us. 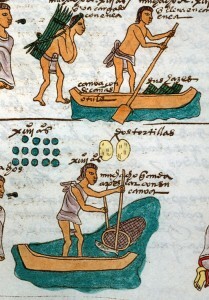 People have been standing up on floating object for centuries. 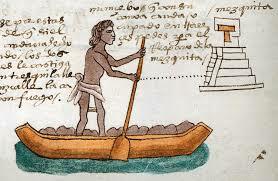 Even the ancient Egyptian and Venetian empires even the Aztecs, all had people standing to pilot water craft. Standing up on a floating object on water isn’t new. What is new is the way we can do it and how this change in technology and accessibility to the new products big created has allowed as and many others to get out and express ourselves on water. The clever thing is drop stitch, what has sewing got to do with surfing and water craft your thinking. Well, the understanding of knots, threads and weaving has been one of the most amazing developments in mans understanding of the world. If we hadn’t learnt to make thread, would our clothes still be animal furs. Learning knots we were able to knit jumpers and other garments to keep us warm. Without this knotting method used in sewing we would not be able to have a flat strong inflatable surface to stand on the water’s surface. 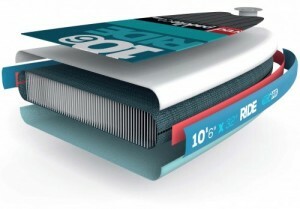 This sewing method has allowed the creation of an inflatable surf board, and since been developed into longer and wider boards more stable for fitness and yoga classes. Longer narrow boards for those that want to go fast, short wide boards for people that want to turn quick. The simple fact is that there is a board out there that suits whatever you want, or the person next to you wants to do on it. Quite simply, SUP is now achievable by all at their own level of ability. It’s so portable you can roll it up, put it in its rucksack and take it on a plane with you. Can you image rocking up to your flight check in desk with your 14″ rigid paddleboard. The Check in staff smiling and saying “where do you think we are going to put that “. Now they don’t even know its rolled up in your rucksack being carried on your back. The go anywhere do anything back pack water adventure system. The inflatable Stand Up Paddleboard has seen many people attracted to lakes, streams, rivers, beaches the world over to try out this growing activity. As i said earlier, “sup is achievable by all at their own level” and to the many ways people want to use them.